First night out. Lost/misplaced my watch, or left it at home. Cooked beef stroganoff for supper. The view of the Wisconsin River from up here is amazing. It's just at flood stage so the lowlands are all under water. I am not sure I am "rightly seeing" this world, as the mechanics of getting underway and starting to actually use the whole system we devised for this trip are taking up all the mindspace. At least mine. There are extra supplies at the start of this journey that do not have a place, but as we go some will be used up. Some of the equipment is un-tested but it will be fine, probably. It always takes a few days for everything to shake out and fall into a really great natural rhythm. It is peaceful here and that helps. No news of politics and that is an intentional choice. An occasional train moves through down on the river-level tracks along the Mississippi. Camping for two nights with no downpours (my previous experiences involved being rained out). Chilly on the first day, perfect the second. Just being away from my usual life is relaxing and empowering. I always seem to look for those traces of people on the land. At Wylausing, the WPA structures in the park caught my eyes. The typical stone and wood materials, but I've noted that at each state and national park with these buildings, each site is different. Here at Wyalusing, open structures dominate. The main concession building has only one enclosed space, And the stone fireplaces are huge. But it's the small picnic shelters, open to the environment, that look as if they have always been there. Even older are the mounds. The Sentinel Ridge Mound group - 28 mounds! Only a few are on the trail, including a bear facing right. It looks to be the same size - or nearly so - of the Great Bear Mound at Effigy Mounds National Monument. We visited that site also, and hiked to view many of the mounds. While the bear mounds are impressive, the 20 conical mounds that sweep up the slope to Fire Rock! As if a string of shell beads was being presented to the Mississippi River. And both the Wisconsin and Mississippi Rivers were flooding. 410 miles today, 6 hours, 24 minutes.We traveled through rolling Iowa farmland today, endless miles punctuated by small crossroads with a gas station/Casey's store and a co-op grain elevator. I thought some more about "rightly seeing." I suppose those who look for some deep meaning and intense experience are probably not "rightly seeing." Today was just driving, paying attention to road and traffic conditions, listening to the sounds of the Cruiser's engine, transmission, and tires on the different kinds of roadway. "Present in the moment" means attentive driving, different from not-inattentive driving. No deep meanings, no intense experiences, just road and the dynamic movement through time and space. We are guests here. Spirit is present in road, as road. Nothing more, nothing less. In my expereience, the first three days out on a road trip of any kind are discombobulating. It is almost as if my brain expects to arrive back home at the end of the day and has to make the shift from "home" being the place we are accustomed to living to "home" as being where we are - something we create as we go and carry with us. And more discombobulating is traveling with a vehicle packed (efficiently) to the gills with everything we might need - and nothing extrea (ha!). Everything takes longer. That's the point. In the 50-degree breeze high on a bluff overlooking the Wisconsin River valley, water takes forever to boil on the little gas camp stove, coffee and tea are deferred, and there's nothing for it except to breathe the fresh air, listen to the birdsong, and look out into far-away places way down the river valley. And when the water is poured into the Stanley Thermos french press, the aroma is exquisite, and the first sip is bliss. What a set of contradictions. Open sky, weather what it is, grass and gravel underfoot, sounds of wind in the trees, birds in song, and open space all around in what is, after all, the "real" world. And then the high-tech stuff that makes our being here possible and, more importantly, safe and comfortable - backpacking stoves. titanium cookware, marine cooler, gore-tex rain parkas. high-loft fiberfill sleeping bags, therm-a-rest matresses, and what is truly a marvel of catenary engineering, a Eureka Timberline Base Camp 6-person tent. Missouri. The way there was through Iowa. Green, gently sloping hills. There is a pattern to the farmsteads in northeastern Iowa: surrounded by a square or rectangle of tall, confiferous trees. A marker of people on the land. Before you can see the farmhouse and the outlying buildings, you can see these giants of trees on the horizon. Landlocked lighthouses, or beacons. Traveling by horse or foot, you knew where you could - possibly - find shelter for the night. Then there is the mystery of Albion. Founded in 1852 (proudly proclaimed on the sign at the edge of town) - it has a large RV campground. In town. What is there? Why do people come? 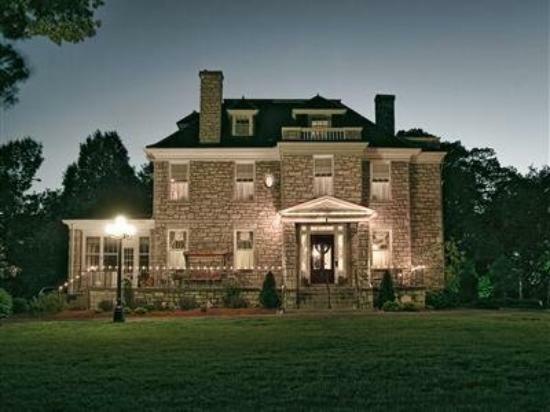 The Hawthorne Bed & Breakfast in Independence is excellent. Lovingly restored and maintained. A welcome respite for both of us after a day in the Cruiser. But the city itself is intriguing. Not yet gentrified, though there are signs this is beginning. This community is proud of its past, and working on the present and the future. A find was the National Frontier Trails Museum. 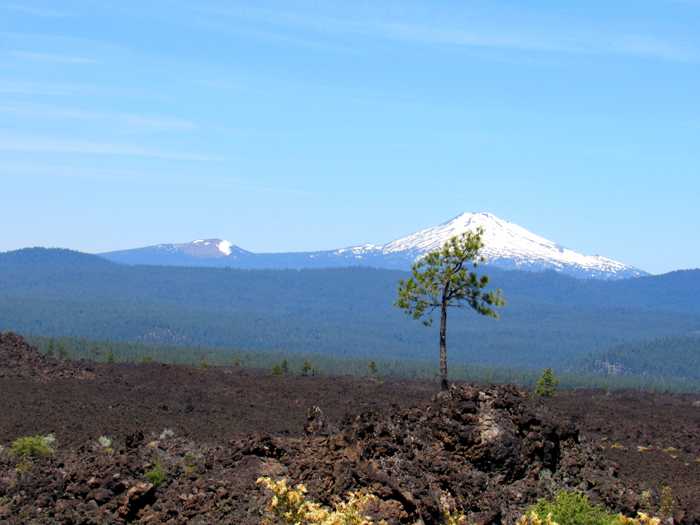 The Oregon, California, Mormon, and Santa Fe Trails all began from here. The Lewis and Clark Expedition also passed through Missouri. The deep depressions, or swales, seen through the city are the remmants of the trails. 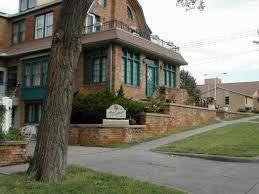 And yes, we drove by the Truman home. We arrived late afternoon after several hours of driving. The Boot Hill B&B is on the National Register of Historic Places. Kurt and Enid, the owners, welcomed us - and suggested their favorite local restaurant for dinner - Bella Italia (superb). The B&B is across the street from the Boot Hill Museum, so of course we went. A cemetery - another marker people leave - is located inside the museumâ€™s tall wood fence. While it is the original site, all of the human remains were moved decades ago, when the site became prime real estate. The carved wood grave markers are all recreations, based on the originals. The museum added a unique touch - cement boots (since those buried there were poor, and could not afford a proper burial in the proper cemetery, they were stripped of any valuable/useful items, wrapped in a blanket, and buried with their boots on). Parts of the museum are very good, especially the displays of Native American artifacts. The storefront recreations are based on photographs. I'm still trying to figure out why we stayed through a gunfight reenactment (not the OK Corral - thatâ€™s Tombstone) based on a real incident. I was intrigued to learn that all of the now-lengendary Western lawmen worked in Dodge City: the Earps, Bat Masterson and his brothers (all at the same time, it seems). Even Wild Bill Hickok came through. But what of the Native Americans who lived around Dodge City? Rather than kill them, the settlers advertised for hunters - to kill the massive buffalo herds. In one year, the herds were decimated, and now dependent on handouts, well, you can figure out the rest. Most moving and the highlight - the Santa Fe Trail wagon ruts west of Dodge City. Unlike the other trails, this one was primarily for commerce. Like all of the western trails, trains replaced the wagons drawn by teams of oxen. 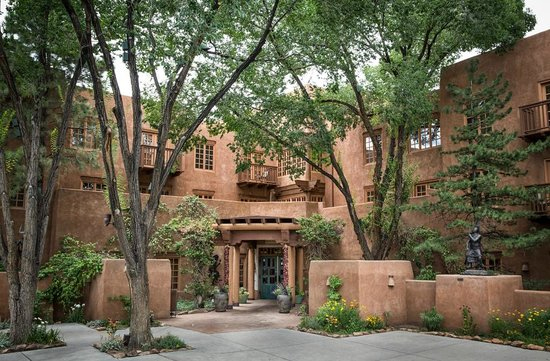 Hotel Santa Fe is owned and operated by Pueblo Picuris, a Native American people who live here. It is in Santa Fe, 7,199 feet above sea level. 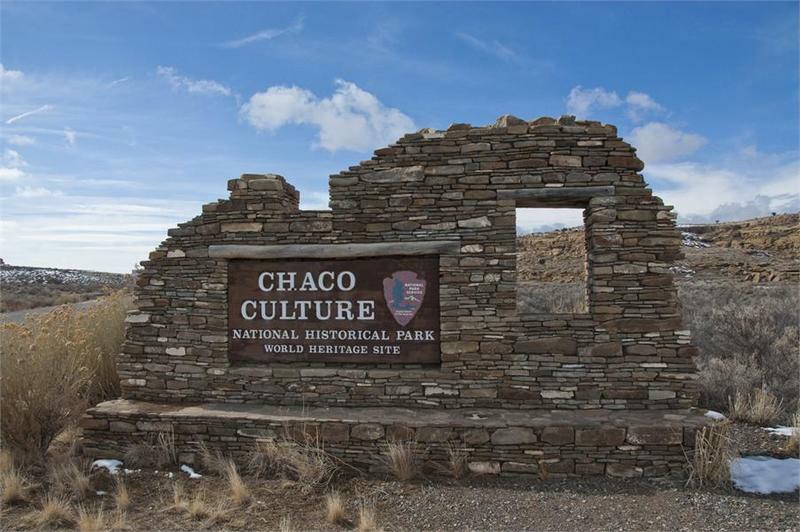 Turns out we will be driving "down" to Chaco Culture National Monument (6,000 feet) after acclimating to the altitude here for a couple of days. The hotel is excellent. Petroglyph National Monument is an hour's drive and that's where we spent much of the day hiking. Speed limit here on I-25 is 75 mph and we were slow doing 80. We leave Santa Fe this morning for Chaco Culture National Monument, stopping in Bandelier on the way We need to replenish the ice in the cooler, but that's about it. 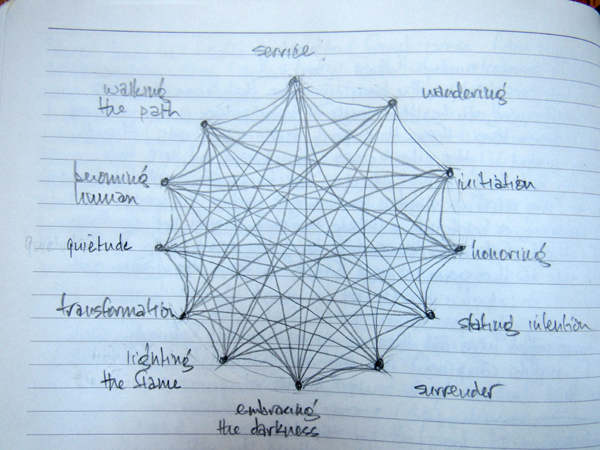 Thinking about "wandering: gathering one's tools." The most obvious gathering happened back in October 2016 when the idea for this road trip first took shape. There were many tools to gather - camping geat, packs, boots, watersacks, packing crates, camp kitchen. One idea would lead to the next and so we also have a small refracting telescope and screen tent (there is no shade in Chaco Canyon and it is high desert). Now, a week into this journey, different kinds of tools emerge - more like skills and techniques for managing everything along the way. Navigating the highways. Planning fuel stops (in some places the gas stations are few and far between). Changing the ice in the cooler. Timing departures to fit the number of miles to be driven that day. Taking enough water for these hot desert hikes. It is just amazing how much is learned (and learned from) along the way. Another reason - their tradition relates that their ancestors came from what we know as Bandelier National Monument, after migrating there from Chaco. When I briefly explained to the very polite woman (at the pueblo's visitor center) why I was making this journey, her demeanor changed completely - gone was the guardedness she had greeted us with. This is an experience I treasure. Bandelier is the second waypoint. An easy hike leads to the Tyuonyi village, near the cliffs but not in the cliffs. The cliff dwellings! The cavates - the residents enlarged natural openings in the soft rock. My respect and admiration for the WPA/CCC grows as I visit these parks and areas - the work they did to make these accessible, and the similarity in the architecture, yet each structure blends into the environment it is in. Too much to write about. We left Santa Fe, stopped at Pueblo Ildefonso (where the Puebloan People who used to live at Bandelier now live) hiked the main trail at Bandelier National Monument, and then headed for Chaco CUture National Monument. About 20 miles of the road in was the worst gravel - and then rutted dirt - washboard, potholed, teeth-rattling - that I have ever driven on. But once here - it is exquisite. About a hundred feet back from our campsite is a Chacoan structure nestled into an alcove in the sandstone cliff that rises about 40 feet from the base where we are. It is almost too much to take in. We started out with a route, reservations, camp equipment, meals planned and food packed for most of them. For some months prior to departure, the Cruiser went in for repairs, maintenance and safety checks. Stuff was packed into wooden craft crates organized by function (fuel and hardware; housekeeping; provisions; tarps and ropes, first aid). Because life on the road can get difficult really quickly, preparing and organizing can make the whole thing enjoyable and safe: the whole first tier of Maslow's hierarchy of needs. 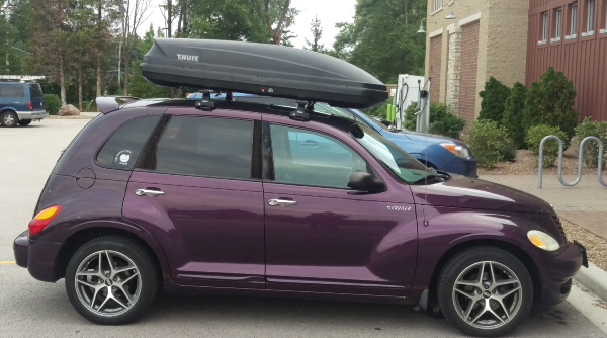 Food, shelter, safety and - I would add - the insides of your vehicle not deteriorating into something that resembles a toxic waste dump after so many miles. The intention is to organize the practical aspects just enough that the real stuff - just being in a place, getting a sense of it, opening to it in a way that naturally leads to Rebecca Solnit's important question, "What can I know about myself in this place that I cannot know anywhere else?" At first this may seem to be an egocentric question, and it certainly can be. But in its deeper sense, the question actually invites a "letting go" of the well-rehearsed persona we usually present to the world, letting go of the glossy surface of a self that is all span and little depth. Out here at Chaco, for instance, it's hot. There are no showers, there is no shade. It's 80 or more during the day and 48 degrees at night. The canyon is stunningly beautiful and completely unforgiving. One wonders how the people who built the structures that stil remain here managed to survive and even thrive here. Or at Petroglyph - the Mesa Point trail is the only way to see the rock drawings, and it goes up 300 feet in a third of a mile. How do we hande these things? Have we prepared adequately? And if our attention is overly focused on our ourselves, we will never really see and appreciate what we climbed up here to see. And even so - there is a surrender that must occur in order to leave the surface and leave what is known. And eaving what is known is the only way to learn anything. Can I do this? I don't know, let's see. Can I make it more than dipping in a toe? Let's go. Walk into the unknown: desert camping at high altitude.Hgh altitude (6,000 feet). Twenty miles of road that could knock the hell out of any car's suspension. Canyon wrens singing at dawn. A brilliant canyon wall illuminated by the rising sun. 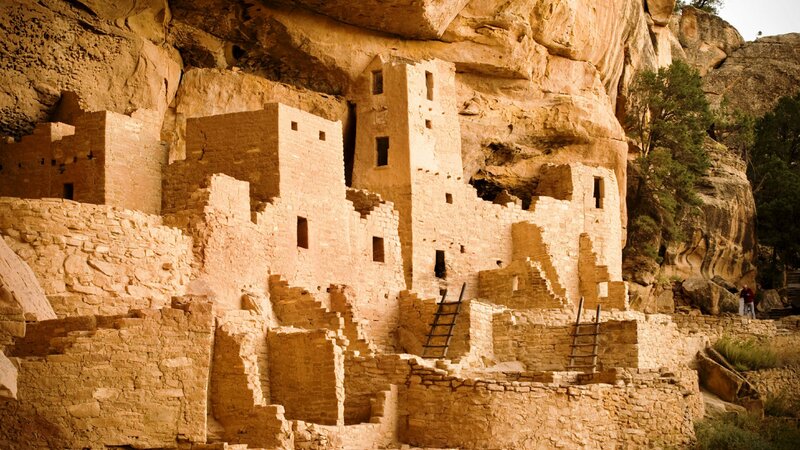 Ancient rock buildings and sacred kivas. Chicken and rice for supper. Chaco Canyon. What is there to write about this deeply felt and created place, that others have not written before, and with more eloquence than I can muster? 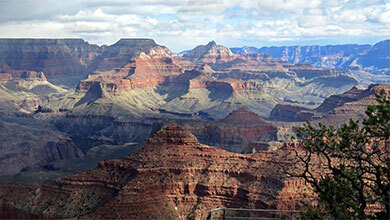 Even now, several days out, the pull of that canyon and all that was built there remains strong. I begin to understand the mix of delight and awe in the young ranger's eyes when she stated she is honored to live there year round. We did not do any of the difficult treks, such as Pueblo Alto. Chetro Ketl and Pueblo Bonito are nearly side by side, and their size is intriguing. I've commented more with the photos. The other campers were interesting. From a park ranger (another national park), who on her weekend off brought here visiting sister to Chaco, to a young German man from Dusseldorf. He arrived our second night there. In the rain. He sat in his car, waited for the rain to stop, began to set up his camp, then it would rain again. He's spending a year with a friend in Santa Fe, working, and visits the national parks on weekends. I asked him why. The landscape, he said. There is nothing like this in Europe. 65 miles today on the winding road up to Wetherill Mesa and Park Point Overlook - the highest pont in the park, 8572 feet. From there we stopped at Step House, the only self-guided wak down to the ancient puebloan structures where you do not have to buy a tour ticket and where the rangers do not move you along because there is another group behind you. 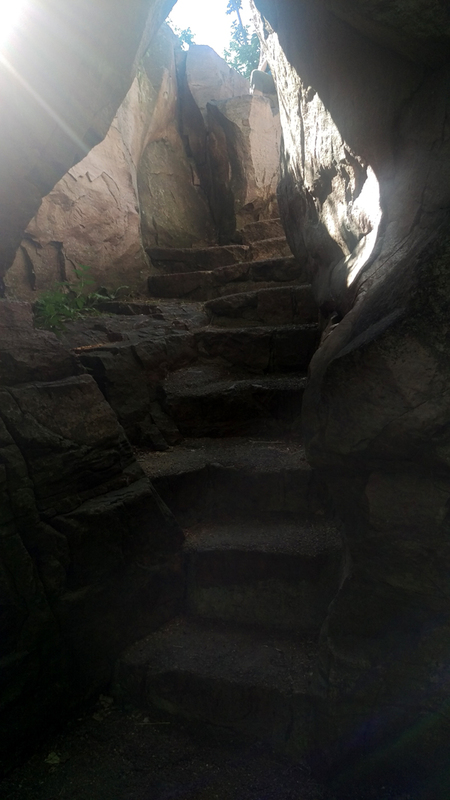 The rest of the drive had multiple stops with short walks out to viewpoints: Spruce Tree House, Chapin Museum, Square Tower House, Cliff Palace. Each of these is its own wonder, but taken in aggregate they all begin to seem the same, and that is a shame. I wonder how to experience these remarkable places (and they are all truly astonishing) and actually feel them, become aware of them, just be there. Maybe I am separated from these ancient peoples and the dewllings they left behind by too many culture-centuries. In the developmental line, these people were clearly at "archaic" and probably "magical/mythical." No cultures then had developed beyond that to the levels we know today - "rational" (the so-called Enlightenment), "multicultural" (the dominant level today) and on to "integral" (the emerging level). We all are born at the beginning of the developmental line, at "archaic" and must develop through each level as best we can - and that means that something in us still resonates to the song of these ancient peoples. Like the concentric growth rings of a tree, at our core we still incorporate (and hopefully transcend) archaic, magical, mythical. There is still good stuff there, even if it is very partial and incomplete. As Elizabeth Berg wrote, my mind is uncrinkling and breathing. But my physical body is not. This is where the altitude seriously began challenging my well-being. Fatigue became my companion, and I continued to consume lots and lots of water. BUT seeing, experiencing what I could was a necessity for me. The trail into Step House was a wee bit grueling ("why is everything always uphill?") but worth it. Driving along the roads that coils like snakes around the mesas was stunning. The Chapin Museum (thank you, CCC) was small - but an elegant example of how carefully researched and constructed exhibits can stand the test of time. No "interactives" or glitzy technology here - just beautifully presented artifacts with information. Camping at Morefield - always fascinating talking with and watching the other visitors. A bus full of Chinese people at Park Point, with stunned looks of awe and wonder on their faces, followed by some of the largest smiles I have ever seen. 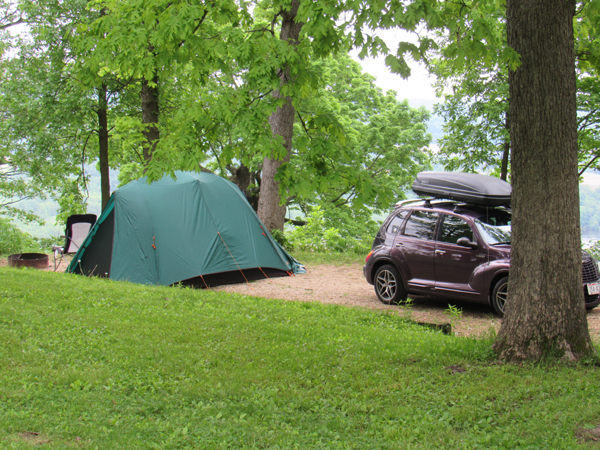 More Germans - renting campers, spending two months in the West - all to see the national parks. Everyone pleasant. Hovenweep. Bettina and Homer, thank you thank you thank you for encouraging us to visit Hovenweep. The buildings there are desolate now, and it is haunting. But here, I could easily imagine how the canyon looked when people lived there. A raven perched on the "Hovenweep Castle" as we approached. The Anasazi Heritage Cnter is nearby, and was created as a repository for the artifacts/data collected from the Dolores River Valley salvage archaeology project. It has a defined focus, and was excellent. The mesas of Utah are varied and always changing, depending on the time of day; how the mineral content responds to light. On our way to Aspen Hollow B&B, we drove through Kanab. On one side of the road, striking red mesas, forming land-locked bays in which homes were nestled (safely away from falling rock). Lush, verdant. On the other side of the road, scrub desert, and few homes. Our B&B was excellent. We stayed in the Master Suite, a large room over the garage, with a kitchen, bed, bathroom, and plenty of desk space (think counter tops at desk height running along one and 3/4 walls). I would have loved this as a grad student. I'd like it now. Kodachrome Basin State Park. A gem. Hoodoos! and fabulous colors. We hiked the nature trail after attempting the Angel Palace trail. The ranger at the station was friendly, and quite enthusiastic about lizards. On the way to Bryce Canyon, I read the map, and noted we were going through Dixie National Forest. With something called "Red Canyon." Totally unexpected, and stunning. Red walls. Coniferous trees. And natural stone arches we drove under. Bryce Canyon NP was nearly overwhelmed with people. We didn't hike, but drove and stopped at many of the overlooks. The elevation climbed up. At Agua Canyon (8000 feet), there were two ravens. They perched on the railing, and observed the humans oohing and aahing over the landscape and them. It seemed as if they were actually posing for photos. 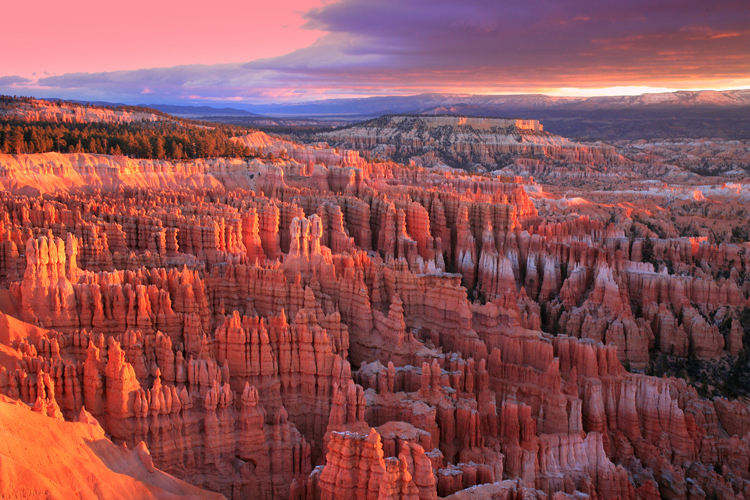 Bryce Canyon is the top step in the Grand Staircase-Escalante. The canyons keep getting deeper. The next day we visited alpine country - the far less visited Cedar Breaks National Monument. Elevation: 10,000 feet. Snow. Patches of snow throughout the area. Home of the ancient bristlecone pines. Then Zion NP, the next step down on the Grand Staircase. Again, the park was full of people. But here, we were on the canyon bottom. Larger than Bryce Canyon. 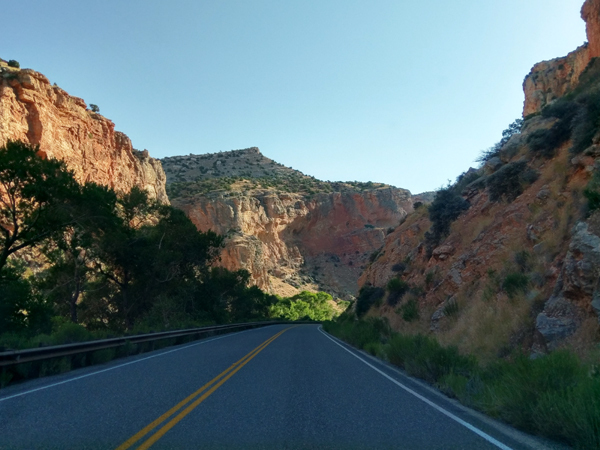 We left the park on a meandering road that clung to the side of the canyon, and through the 1.1 mile long Mt. Carmel tunnel (with occasional "windows" for light), that was built in the 1920s. Absolutely fine evening, brisk breeze blowing through the conifers making a swoosh sound I do not remember hearing since walking on the Scuppernong Trail at Kettle Moraine State Park back in the 1980's. Embracing the darkness:walking into the unknown is usually a good place to light a light. Some shadows are deeper than others, of course, but a careful look will show that the unknown - the apophatic way, the way of unknowing - is always ever present. And all of the great spiritual teachers past and present (that I know of) have insisted that the way of unknowing is the required way, and maybe the mo (re rewarding way, and maybe the only way. "We grow by delays" said St. John of the Cross who also talked about the dark night of the soul. The Tao that can be named is not the eternal way said Lao Tsu. "Enter the woods where it seems to be darkest and most impassible" said Parcifal in his tale of the quest for the holy grail. What's so great about the dark? Well, it's the only place lighting a flame really makes any sense. No one lights a candle to see in broad daylight. And yet - I read somewhere - if you want to really hide something, hide it in the eye of the sun. But of course, "darkness" and "shadow" are metaphors for what is not known, what cannot (yet) be seen. The future is dark/unknown, and, says Rebecca Solnit, there is hope in darkness, in what is not yet known: "Hope locates itself in the premises that we don't know what will happen and that in the spaciousness of uncertainty is room to act." These things that come to light are called "emergents" and they happen all the time. They are disjunctures, they are always jumps to higher orders of integration, refinement, complexity. Emergents can never be predicted by looking at the current state of things and they are most often the most important insights and integrations. Mrs. Gardner, my high school English teacher, would often tell the class "You don't know what you don't know." She meant it as an admonishment to know-it-a adolescents, and it still stands as a corrective to over-confidence. It is also, however, an invitation to celebration, to lighting of candles. The problem seems to be with the word "spirit." That word is entombed in the ideological religious dogma of the pre-enlightenment mythos. It is also choking on over-cooked, new-age "create your own reality" pablum. What is "conscious connection with spirit?" Ken WIlber is some help here. His insight is that "spiritual" can be 1) the highest evel in any/all of the many lines of development (mutiple intelligences). So, for example, the highly-developed "world music" of Paul Winter is usually described as "spiritual." 2) Spirit can be a particular state of consciousness, temporary but real, a feeling of at-one-ment with person or place, a glimpse, an experience. 3) Spiritual is a line of development in and of itself, one of the multipe intelligences, with practices and paradigms that have been tried and true for several millennia: zen meditation, christian contemplative prayer, mindfulness (for examples). Another help cones from the profound insights of the philosopher Plotinus, who saw both that 1) Spirit reaches "down" all the way to subatomic particles, and that everything that "is" is a manifestation of Spirit as what is and 2) the evolution "up" of stone into Spirit, as Teilhard de Chardin and Paulo Soleri would put it. In the end, what is important, the place to be, in fact, is to come to the end of what we know. This is called zen mind, beginner's mind, pure emptiness, prior to all conceptual thought, all anguage, all hope, all despair. And from that place, no "finding spirit" wil be necessary, because it will simply be apparent that there is nowhere to go, nothing to look for, because we are awash in that which we seek. We are immersed in infinite consciousness, we are saturated with unconditional love. They say a restless body can hide a peaceful soul. The outer journey of the senses here is overwhelming. The magnitude of what you see, and knowing it is impossible to see all of it, is both frustrating and a relief. You do the mundane and necessary things: setting up camp, eating, sleeping. Drinking lots of water. But not enough, apparently. It is here that the altitude affected me the most, to the extent of seeking medical help. I followed the advice: more fluids, electrolytes, ibuprofen. If youâ€™re not better by morning, the nurse said, come back, and consider evacuation to a lower altitude. But there was so much I wanted to see, and absorb. So I did what was needed, and relearned the meaning of endurance. There is so much here that is part of the journey, the physical journey. Walking a mile-long section of the Rim Trail from Hermit's Rest (an outstanding design by Mary Colter) to Pima Point. The Yavapai Geology Museum. The first lodges (Bright Angel, El Trovar) and the buildings still in use from the first days of tourism. My resonant piece here is the Tusayan Ruin and Museum. An overlooked place that many visitors miss. The pueblo was partially excavated, and the small museum (in another WPA/CCC building) contains new displays that effortlessly interpret the site. The 4,000 year old split-twig deer figurine was found nearby, in a cave in the canyon. The volunteer at the museum speculates that there are many such figurines in caves throughout the canyon. Are there? I'd like to think so. We've gone from an incredibly austere/desert elegant/simplicity artisan-quality experience at Sacred Sands B & B in Joshua Tree to the almost (?) cartoonish Solvang and then to Bernardus Lodge in Carmel valley, California. What have I discovered about myself in these places that I cannot know anywhere else? Where to start: Sacred Sands. Two guys have created this place in the desert just outside Joshua Tree National Park. It lives up to its name. Protected on two sides by rock hills and on the other two sides by a solid four-foot screen welded of core-10 steel (made to rust), the hot tub, outdoor shower and outdoor hanging bed are paradoxically totally private and completely open. The desert space all around is paradoxically severe and abundant. Rocks, part of the abundance, are needed to hold down the door mats, the blanket on the hanging bed, and the hot tub cover in the sometimes-blustery desert winds. These guys have created a space that is almost in perfect empathy; the abundant rocks outside have found themselves in piles in the corner of the outside space, and inside in bowls and even as river rocks in the gently-massaging shower floor. The abundance of the desert life has come inside as elegant, ultra-simple and yet completely embracing habitat. Emptiness is fullness. Fullness is emptiness. Flee the many and seek the One, and having found the One, embrace the many as the One. At Sacred Sands, when we were there, there was no one else. We stayed in one of the two studios (the suite with a full kitchen because I like to cook), a building quite apart from the main house where Scott and Steve live with their two dogs. We saw no one. Even our second-B breakfasts were stashed in the refrigerator. It was a place to just be, to just be together, without distractions: as close to emptiness/fullness as I imagine it possible to be. On the other hand, Solvang CA is an antithesis. Pseudo-Danish touristy gift-shop-saturated cartoon, it begs the question "why?" Any authentic Danish history seems lost to shameless commerce and even the one remaining piece of history, the Mission San Ines, was, to this recovering christian, suffocating. I am sure others may quite legitimately find deep meaning in the place, but to me what the Church did to the indigenous peoples qualifies as a mortal sin (in the Church's parlance, not mine). And on yet another hand, there is no denying the community of faith this mission, and others like it, have created. It seems ironic that on the walk back from the grounds I saw a latino woman sitting at the fountain apparently praying out loud. As we passed, it became clear that she was taking on her cell phone, what prayer has become these days, perhaps. Paradox, once again. Which brings us to Bernardus Lodge in Carmel Valley, probably one of the largest concentrations of wealth in the world. I'm sitting on the balcony overlooking the large pool and spacious grounds. Parking is by valet and bags are brought up to the room. The place speaks wealth and luxury (quite inadvertenty found at relatively reasonable rates on Orbitz) but also strangely appropriate. The suites are appropriately distributed in many non-ostentatious buildings nestled into the hillside. Whoever designed this place had a sense of taste and appropriateness and quality, just like Sacred Sands. So here's the thing: who is in more responsible relationship? In my (maybe wrong) opinion, Solvang is junk. And our overnight stay there was relatively inexpensive and tolerable. On the other side of the spectrum are Sacred Sands B & B and Bernardus Lodge, both expensive, both fine examples of fitting in with their respective environments in a way that, to me at least, defines "empathy." Empathy with all it means to be human living in harmony with the earth (the "extravagant" use of water at Bernardus - pool - and at Sacred Sands - hot tub - notwithstanding in these dry lands). "Becoming human: empathy, being in truly responsible relationship" is complex, if for no other reason than the gas station at King City where we stopped to buy gas and use the restroom. Their well had gone dry, and the porta-potties that filled in for non-functioning restrooms were full of trash along with what's usually down in the hold. I write this as I look out on the large, crystal-clear, sparkling pool at Bernardus. I like Bernardus better than the obscene porta-potties, and yet they both are, apparently, part of the human experience. Complex, indeed. These trees have always fascinated me, and the environment in which they thrive. There is another feel to this desert, compared to the other one I know well, deshret, the red land of Egypt. Both are harsh, and you feel the weight. 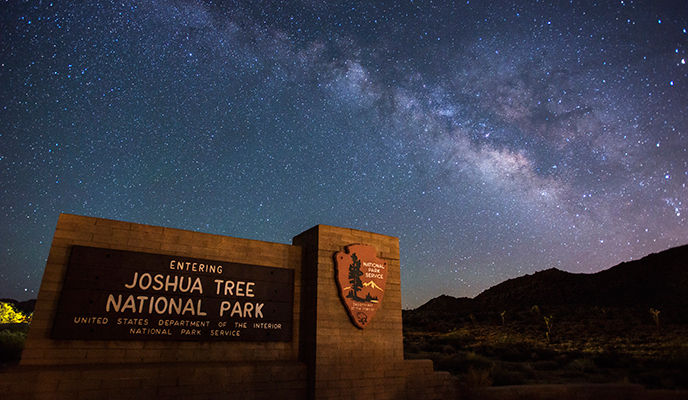 Somehow, the desert in Joshua Tree NP feels older, lighter, clear. Walking among the stone formations, observing the life that adapts and flourishes there - the weight of this place lifts the weight from me. My mind continues to uncrinkle, less frenetic. My time there is a private treasure. Solvang. Sigh. New Glarus on steroids, And not in a good way. But Olsonâ€™s Bakery is fabulous. We could drive Highway 1 from Bernardus Lodge through Carmel Valley down as far as Pfeiffer-Big Sur State Park. South of that the road is closed because a major bridge is out, destroyed by the torrential rains that hit this part of the state recently. Pfeiffer-Big Sur State Park is open but most of it is closed for repairs and clean-up. Not only was the park hit by the rain, but it also served as the staging area last year for firefighters battling the Soberanes fire in the Big Sur area in 2016. "On the western slope of the Santa Lucia Mountains, the peaks of Pfeiffer Big Sur State Park tower high above the Big Sur River Gorge, where the Big Sur River enters this popular park. Walk along the banks of the river and among the redwoods, conifers, oaks, sycamores, cottonwoods, maples, alders and willows." I've been using my camera to capture images of trails, pathways, roads, portals, doorways, all leading somewhere or nowhere or anywhere or everywhere all at the same time. I've discovered that not all paths have equal value. While I freely endorse the idea that whatever path one is on offers ample opportunity for learning and integrating, some can be pretty rough (lots of rug burns). I once wrote, long ago: I'm glad for what I learned there but I would never send anyone to a school like that. So what makes some paths have more value than others? I'm not sure that can always be determined ahead of time, but there are some indicators. Some paths are choked, overgrown, ill-tended, and in the end, not really worth tending. These paths lead mostly through weeds and mosquitoes and biting flies and poison ivy. If paths such as these led somewhere worthwhile wouldn't they be better tended? (There is the Chaco road, a wreck of a road leading to a very special place... an exception?) I have beat it down enough mediocre, ill-tended and poorly-planned trails that led nowhere in particular. Washboard gravel and washed-out dirt roads that led to no Chaco Canyons, hiking trails that were just miserable, mostly pain with no gain. Is this simply a failure pf perception? It can be - it's easy to give up too soon on a hard path that leads somewhere worthwhile. But the fact is, some paths are better than others. When we were guests at Aspen Hollow B&B, our hosts talked about the challenges of living in a Utah community of mostly Mormons along with the constant need to fend off the attempts at conversion. One of our hosts said something like "Although I disagree with most of what they believe, I'll give them credit for walking their talk." What, I wonder, is the value of walking a questionable walk? To put it a different way: we understand and integrate life experiences in terms of what we already know, through the analogs and metaphors of our current stage of development. If we're at magical/mythical, the difficulty of a path will be experienced as the actions of gods or goddesses in response to our actions or inactions, or as manifestations of our own create-your-own-reality Jedi mind tricks. If we're at rational, the difficulty of a path will be the result of inadequate research or preparation, and we may choose to persevere just for the challenge. If we're at post-rational relativism, we're likely to change paths because all have equal value or, to quote Castenedas, because all paths lead nowhere therefore it is important to choose a path that has heart, whatever that may mean to each individual. If we're at integral, well, at least we'll be able to see that all paths have value/lead nowhere and some paths are better than others, sometimes significantly so, and all are partial/incomplete. They go only so far. And then there's a bridge out. Some paths are interstate highways: over-engineered multi-lane divided roadways that cut through mountains and level up valleys and for the most part are safe and dangerously boring. They will get you from Point A to Point B - as defined by the engineers - at maximum speed. Few surprises, no depth, all span (shallow). Interstates are the real wastelands, the real wrecks of roads. Chaco road has Quality. Integrate that. Pfeiffer-Big Sur. Winding roads embracing the hillsides as tightly as possible. 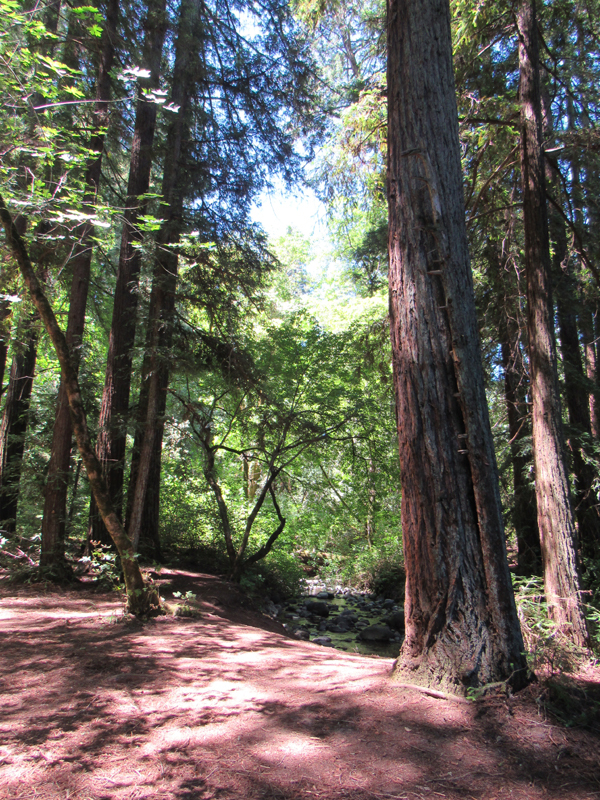 Redwoods. 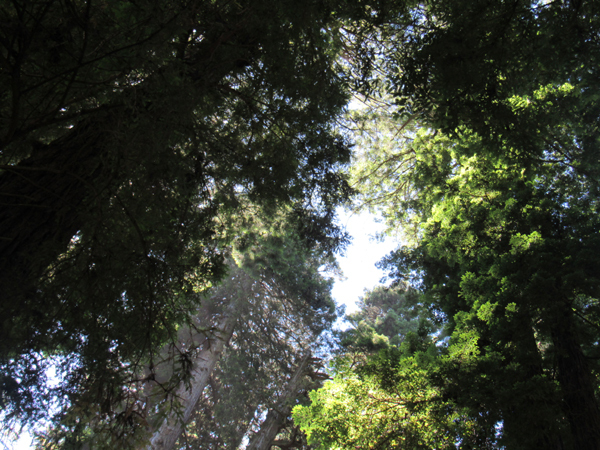 Redwoods. 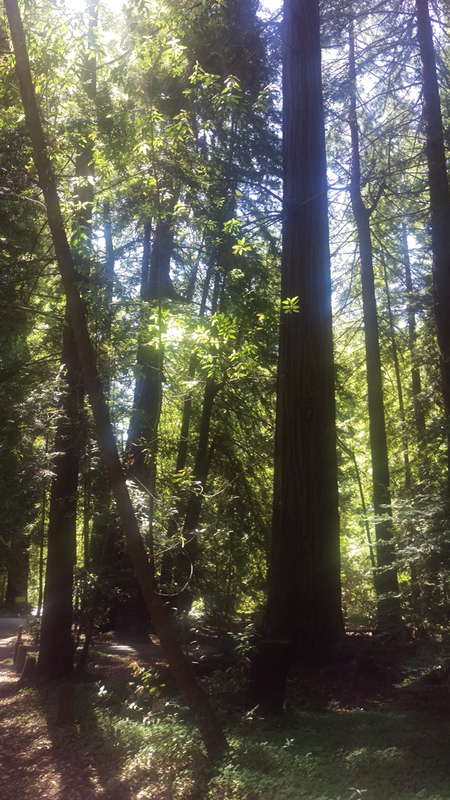 Redwoods. + service: transcendence of the illusion of separateness. Humility. Joy. Bernardus Lodge is a luxury place designed for people with money. Last night's happy hour in the bar and lounge area around the fire-pit featured artisan grilled-cheese sandwiches and, extrapolating from the dinner menu at Lucia's restaurant, they probably featured truffle butter, goat's cheese, and a $20 price tag. The front-line staff are all white people and they fit the Boy Scout pledge, especially the last three - friendly, courteous kind. It's right out of Disneyworld: no trash, no clutter, world-class service, attention to detail, sparkling pool, and a wine bottle filled with mint-leaf-infused filtered water always there in the room. At 6:00 a.m. the real people start their work day. The Latino-American and African-American men and women on the maintenance and housekeeping crews valet the cars, carry luggage, sweep the pool decks, vacuum the pool and scrub the sides at the water line, tend the gardens, straighten the lounge chairs and hammocks, pick up the pool towels that people leave behind, and a thousand other tasks that get done mostly unseen by a service staff mostly invisible. They are the ones who make this place what it is - and without them the place would not function. That may be the source of my uneasiness in this place of luxury (besides the fact that I don't really fit): our comfortable experience is carried on the backs of those unseen ones who, I would guess, are grossly underpaid given what it costs to stay here. Maybe I have it wrong, but it doesn't seem right. Sacred Sands B & B, also considered "luxury" by those who review such things, was no less expensive but a completely different experience. Two guys built Sacred Sands out in the desert and their unique imprint is everywhere. 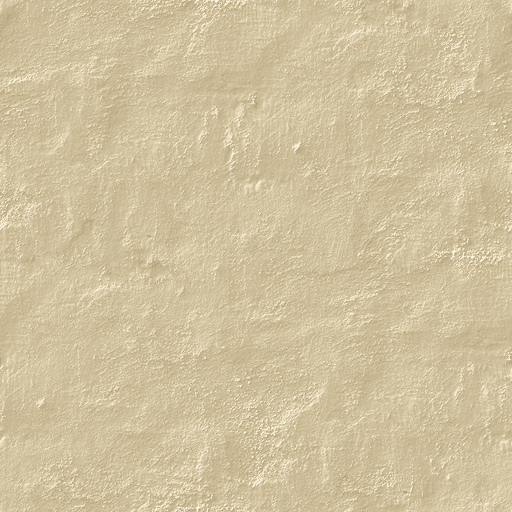 Bernardus - I'm guessing every room looks the same. Sacred Sands - the idiosyncracies, piles of desert rocks, a painting (not a print) leaning against the wall instead of hung, carefully-tended desert garden, in an environment that is alive and changing constantly with sunrises and moonsets and jackrabbits and quail coveys and more rocks holding things down against the sometimes-blustery winds: alive. Bernardus - invisible staff doing housekeeping, turn-down service, standardized everything, engineered, closed-ended: dead. That's the diference. Bernardus is a computer simulation with a limited number of possibiities - room service ($$$), lunch or dinner at Lucia's ($$$$), breakfast out at the pool ($$$$$). Responses are limited, you must ask the right questions. Sacred Sands: nothing pre-programmed, responses are as unlimited as life itself, there's a feeling of "anything is possible." I remember my first visit years ago, in late spring. The woods were nearly empty of humans. Only a few visitors, and the rangers. No boardwalk, no cafe/gift shop, no taxis and van tours waiting for the hordes of people. As we walked, I tried to unearth my deep memory of this place, the mark these woods had left on me. Eventually the awe and peacefulness emerged in situ when we walked on the path less taken by most visitors. John Muir's deep passion for these woods and all wild places and spaces was apparent again. Without his dedication, we would not have our National Parks. Thank you, John Muir. Playing with the twelve themes this morning out on the deck porch just as dawn was breaking. It's been clear to me for some time that the themes are not linear-sequential, and that any given theme could lead quite naturally to any of the others. So, I thought I would draw a picture, and it turned into a mandala. We planned to camp at the park for three nights. We did not plan for 100 degree plus heat. That impelled us to seek air-conditioned shelter. The park itself is beautiful, and its protectors regularly fend off (through the legal system) vintners who want just a little more land. Our refuge: the Wine Country Inn and Cottages. Excellent staff and lodging. Did we dine at Michelin-approved restaurants? No - we discovered where the locals go: Pizzeria Tra Vigne. So good we ate one meal a day there, always a late lunch. In Napa Valley, the thing to do is visit wineries, so we toured two. Tom for the tasting and the history, me for the history, and studying the people who do this. The first, Beringer's, one of the oldest, and no longer family owned. On the tasting tour, we walked through the hand-carved tunnels in the hillside where the wine was originally stored. These rooms contained handcrafted barrels, and rooms for dining. We also stopped in the house - built by the family, wealthy German immigrants (it was very Milwaukee). And the people? Men dressed for the weather, in shorts and t-shirts. Most of the women, in little black dresses and pearls. Fascinating. Chateau Montelena (see the movie "Bottleshock") was the second. Snape - I mean Alan Rickman - was there during filming. The buildings and grounds are magnificent. Still owned by the family. Tom liked their wines best. We drove by so many wineries. Each has a grand driveway (of course), and tries to add something visually enticing. I refused to visit the Tuscan castle recreation. My favorite place? The Charles M. Schulz Museum. I grew up reading Peanuts, and this place is delightful, and just the right size. Even better - one of the current temporary exhibits: A Dark and Stormy Night, about my favorite world famous author, Snoopy. Here it is in color. Here's a link to the pdf that explains the themes, as I understand them: HERE. What follows might make more sense. service: transcendence of the illusion of separateness. Humility. Joy. / embracing the darkness: walking into the unknown, being in the void. What is "the Void?" Emptiness in which every thing arises. The unknown, the Tao that cannot be named, the face of God which no one can gaze upon and yet live. Walking into the unknown is embtracing what is not known (something we actually do every day of our lives), what is "dark" as in unrevealed, not-yet-seen. How is this service, transcendence of the illusion of separateness - humility - joy? Service can be rote, programmed, forced, given insincerely or grudgingly, not out of transcendence, humility or joy. Such service is ego-filled in the sense of narcissistic inability to step out of a tight liuttle world of little-"s" self. Service, not freely given, is not service. Service, freely given, is selfless in the sense of transcending self (which implies a developed self to be transcended). Service is not pre-rational, pre-convntional. It is trans-rational, post-conventional, which puts it in unknown territory. It is embracing that which is beyond (not less than) "self." It is humility (not humiliation). It is joy. It might be that embracing darkness leads to service. It may be that service leads to embracing the darkness/what is not yet known. So what tools to gather? Not all tools have equal value; some are far better than others, some ar cheap junk good for nothing. There are hardware tools, like screwdrivers and drill bits and wrenches. A Leatherman multi-tool or a genuine Swiss Army Knofe will work well and last generations where the cheap knock-offs will work poorly, bend and break and cause nothing but frustration and damage to what is being worked on. And there are tools like habits and practices (paradigms), cognitive frameworks, coping skills, social skills, cooking skills - a whole library of "software tools" and like the hardware counterparts, some have Quality and some are poorly-functioning knock-offs. So how to tell the difference? 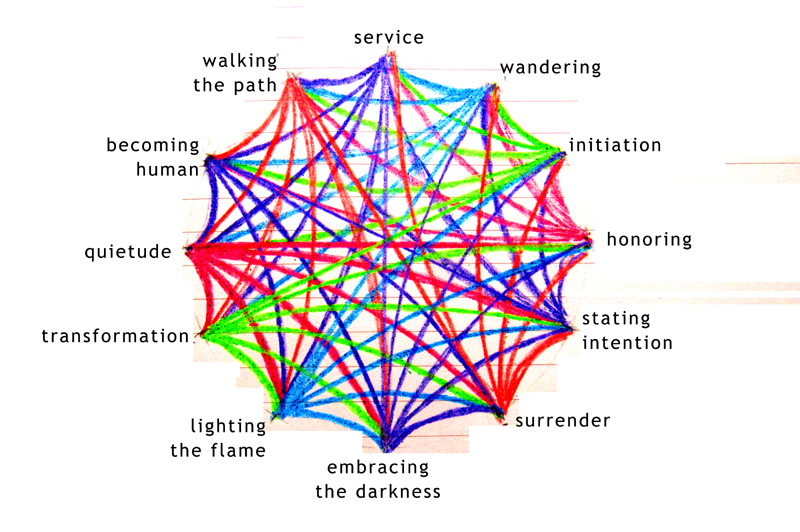 There are ways, and some hints are found in "lighting the flame: conscious connection to Spirit, finding meaningful ritual." Lighting a flame is an action, it is an act of bringing illumination. Conscious connection is not so much intention as it is awareness - do you see the difference between Sacred Sand and Solvang? Do you see the difference between compassion and selfishness? Connection with Spirit is connection with the highest levels of development in any/all of the lines of development. And meaningful ritual issomething done with love and care (like cleaning tools or washing dishes or listening to a friend or partner or - even better - a child) and done over and over, day in and day out. Here's the rub: good tools are expensive, conscious connection with Spirit is costy, finding meaningful ritual is a constant investment of time and energy and attention. A flame, once lit, requires tending and feeding. So - we can wander forever and pick up a lot of cheap junky tools, or we can light the flame so our wandering ways will be illuminated, more mindful, more consciously Spirit/Quality connected, more meaningful. These trees! Camping beneath these is a joy. We drove part of the Avenue of the Giants, hiked otherworldly trails, stopped in at nearly every park visitor center we could find, are in small cafes perched in small towns nestled along the highways that ran through the parks. Patrickâ€™s Point State Park was an unexpected find. A coastal park that is spacious and beautiful. Weâ€™ve posted photos of our hike to Wedding Rock (yes, brides really do come here for photos, in full wedding attire, and hike up that trail). There was also a modern reconstruction of a Yurok village, built by tribal members near the original village site. The tribe was preparing to use the area for ceremonies that weekend, so we were respectful when we visited. The dance pit, even though it is square, is similar to a kiva in its purpose. Further north - at Jedediah Smith - we drove up to the Klamath River Outlook, where the rive meets the ocean. The Yurok still fish for salmon nearby. South of Crescent City, we strolled a black sand beach, mesmerized by the waves coursing over and around the treacherous rocks just off shore. Near Bend, Oregon, where we stayed with our friend Chrisie. She suggested a visit to Mordor, aka the Trail of the Molten Land, in this national monument. It was. 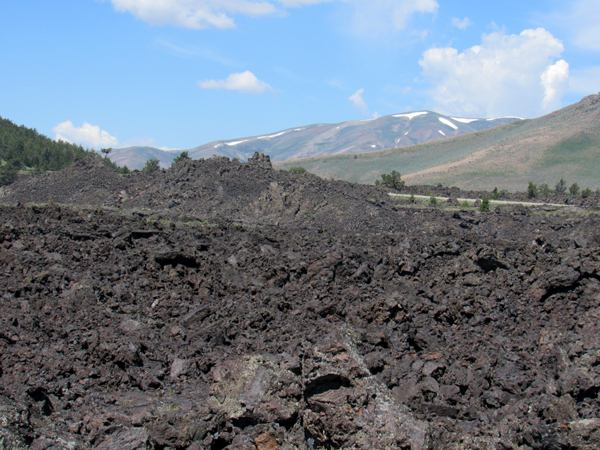 "Lava Lands" is another name it is known by. 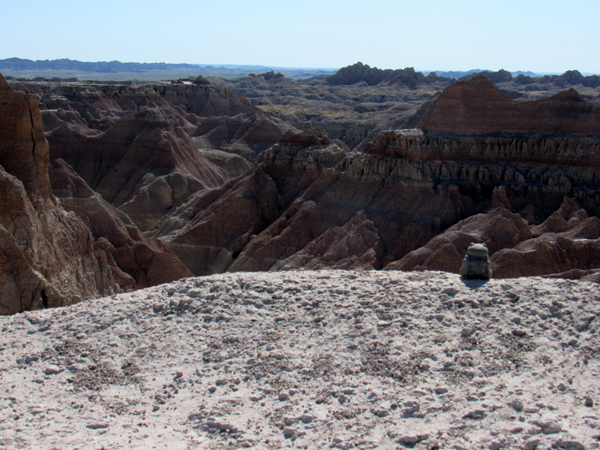 Another part of our journey - we have experienced so many different landscapes, each one astonishing in its own right. Each also has traces - those markers - of people on the land, for hundreds of years. "One does not simply walk into Mordor," says Boromir in the fim Lord of the Rings (he might have been talking about Lava Land...). Neither does one simply wander up the mystic spiral to a vision of oneness. I've been avoiding this whole mystic-spiral-transformation thing long enough. Time to engage. Initiation usually means something a person does to get themselves ready for an experience that is supposed to be profound and meaningful; sometimes it is done to the person, like a fraternity hazing. Fasting and study and prayer are right up there with other denials and mortifications of the body and sometimes the rituals include psychotropic substances. These practices usually trigger an altered state of consciousness simply because of the serious physical changes - some of which can be traumatic, involving real tissue damage and other life-threatening conditions (a number of people died some years back in a sweat lodge experience run not by Native Americans but by one of the featured stars of the film The Secret.) Want to see visions? Drop LSD, or get seriously dehydrated or sleep-deprived. Spend a week fasting. Sit in a sensory deprivation chamber. Go out into the unforgiving desert wilderness with John the Baptist and confront your demons. I'm not making fun of these and other practices that many, many people have found to be dependable portals into spiritual experience. I am suggesting? wondering? if these portals do not open anywhere you are not already. It's a difficut tangle of issues. For one thing, pain is powerful and it can break a person or serve as a portal to transcendence. Who would recommend pain as a spiritual practice? And yet there are those who have, and I think they are wrong. That kind of perspective justifies abuse and does not pass the Auschwitz test. It is also true that persons who find themselves in painful situations can also find themselves booted, temporarily, into an altered state of consciousness. A temporary state of consciousness is not, however, "climbing the mystic spiral" because the altered perceptions are temporary. States of consciousness are one form of enlightenment ("waking up"), for sure, but as Ken Wilber has commented, "The world is full of enlightened dickheads." What makes a person not a dickhead is "growing up." "Climbing the mystic spiral" is another way of saying "stage development along the spiritual line." It's an X-Y axis, with states of consciousness going out horizontally and stages of development going up vertically. Temporary states can wake you up. If you've ever been driving along a highway slightly road-hypnotized due to the repetitive highway boringness and an oncoming car crosses the center line and nearly crashes into you, you wake up, right? But it is temporary and soon the highway hypnosis kicks in again. But what if you took this waking up experience and made it, minus the near-crash, a practice? That is initiation: preparing oneself, purifying, centering. Introduce just enough waking up so the growing up is conscious, mindful, intentional, and yes, gentle. More Mordor. Walking through volcanic landscapes is eerie and oddly soul-satisfying. I want to visit these again, in winter or early spring. Factoid: the Apollo astronauts trained at both these place for the moon landings. They were able to go off the trails! Yes, I am jealous. What is "the sacred?" At this writing I am in Pipestone National Monument, the location of the pipestone quarries that have been used, and continue to be used, by Native Americans of all tribes to make the distinctive pipes that are used in ceremony, ritual, and now to sell to visitors like me. The quarries and the land surrounding them, Pipestone Creek and Winnewissa Falls, the sioux quartzite cliffs with those two stone faces carved by natural forces, all of it is considered sacred ground. The place is honored by Native Americans, by the National Park Service, and by those of us who visit (well, most of us anyway). Is it honored because it is sacred? Or is it sacred because it is honored? I have long thought that "sacred" is not some quality inherent to a thing, or a person or a place, but rather the light in which something is seen. Granted, some places, some things, some persons are obvious and easy to honor and call sacred - but it is still not the thing itself but the light. And, it seems, honoring the sacred begins with quietude, listening, observing, being still. When we visited Muir Woods National Monument, just ourtside San Francisco, a few weeks back, I noticed signs everywhere that reminded us visitors to enter the redwood groves in silence, to honor the quiet and these groves of sequoia sempervirens, the coast redwoods that have survived hundreds of years of floods, droughts and wildfires but may not survive us (how could anyone make a picnic table out of these trees?). "Be quiet! Be still!" said the signs and yet a dismayingly large number of people were loud, rude and inconsiderate, yammering about basketball games and trouble with boyfriends. It may be that there is honor to be found even in noise, but I cannot see it. It is static that drowns out the sound of the wind through these ancient trees, the birdsong, the scurrying and chipping of ground squirrels. Enough said. Be quiet, be still, and the sacred will become clear and the honor will come naturally. Or, practice honor, and the quietude will be a natural consequence. Yellowstone was the first national park, established March 1872. Also the most visited, with nearly 4 million people a year (from all over the globe) touring in various ways. We stayed in West Yellowstone - a small city of cabins, motels, hotels, restaurants and shops at the west entrance. Fascinating, people-watching. Note: I am working to overcome my developing dislike of oversize tour buses (full) driving on narrow roads in the parks. Yes, these are dangerous. Avoid them. Intention means "Why are you doing this? For what purpose? What is supposed to come of it?" One's purpose is not accidental, it is on purpose. Deliberate. Intentional. That scares a lot of people. First of all, if I intend something, I own it, and if it does not turn out the way I intended, well, I take responsibility. "This is not what I meant" and taking responsibility for a course correction takes courage because course corrections are intentional and intentions have consequences, and some of the consequences may be unintended. Welcome to becoming human: we make decisions based on incomplete information, we make mistakes, we make corrections, and if our own limitations are not grounds for learning empathy, I am not sure I know what it would be. It goes both ways. Our intentions will always result in joy and suffering for others as well as ourselves, and others' intentions will bring them, and us, joy and suffering. Nobody is perfect and even perfection would bring it own unintended consequences. I am the joy and the light. I am the sin and the sorrow as well. Knowing that, I intend what is best with the information I can gather, after cleaning up my own issues as best I can, no apologies for when it goes well and no excuses when it doesn't. What's coming to mind for me is a memory of someone - a child, I think - trying to fit a puzzle piece into a place it doesn't belong. That is a metaphor for trying to "integrate" life experience by forcing it into a conceptual, ideological or religious framework where it does not belong, trying to control experience rather than leaving what is known - static patterns of value - and allowing vulnerability/openness (within reason) to what is outside our static patterns. It is openness to what Pirsig called "Dynamic Quality," to what Lao Tsu called "the Tao that cannot be named," to what the Hebrews called "ruach" (spirit/wind) and the ancient Greeks called "pneuma" (spirit/wind). It is walking a non-path path called dharma, or Quality, or excellence, or compassion, full of grace and truth, arising from Emptiness (the Tao, primordial Being) and manifesting as all that is (the tao, expressive being). A person walking the path has surrendered the egoic need to impress anyone, the need to show off what they know, the need to be followed, even the need to be recognized. Quality, dharma, excellence has no reward because, like love, these things have no opposite. Your path is either a path of Quality, of dharma, of Love, or it isn't - in varying degrees. What e call "the dark" is, by physics-textbook definition, simply "the absence of light." There is no energy in dark - it is the absence of light energy that befuddles. What we call "the cold" is, by physics textbook definition, "the absence of heat." There is no energy in cold - it is the absence of heat that freezes and kills. There is no energy in ignorance or hate, but the absence of wisdom and love is devastating and destructive. So walking the path means opening to what presents itself and letting go enough to make decisions that meet Thomas Hora's "Questions for Existential Validation." Don't let the word "existential" bother you, it just means verifyable in your own lived experience in a tangible, practical and real way. In what way does a certain idea contribute to the improvement of the quality of our lives? Does it bring harmony into our lives? Does it contribute to a sense of peace, assurance? Does it fill us with a sense of gratitude? Does it inspire us with wisdom and love? Does it make it possible for us to find the answers we need to the problems of daily living? If what we are learning has this effect, then it must be existentially valid. 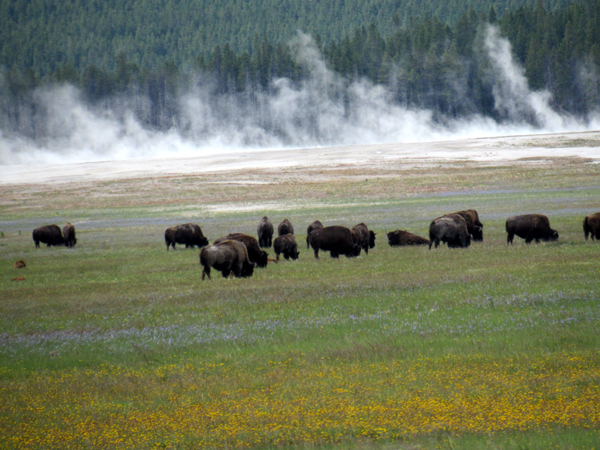 Custer State Park is home to the largest herd of buffalo/bison (interchangeable terms) in the U.S. It's a managed herd, culled each year so the size of the herd matches the carrying capacity of the park. It's a managed park as well... covering 71,000 acres, there's a lot of downed wood and burnable scrub that is gathered into large piles, visible everywhere, and then burned in the winter when there is snow cover to prevent wildfires from destroying the forest. Grand Canyon National Park does controlled burns as well, and Smoky the Bear now says "Help prevent wildfires" instead of "Only you can prevent forest fires." It's not the fires that are the problem, in fact the cones of Ponderosa Pines do not open except with fire. It's people who are the problem. It's bad enough when we are well-intentioned and try to "preserve" an area by leaving it alone and putting out naturally-caused fires because, well, Smokey the Bear. The dry tinder builds up and then when there is a fire, it is devastating because of the buildup. Many parks, like Yellowstone, started letting natural fires burn themselves out and though it is sobering to see large burned areas, the forest is actually healthier. What makes these places unhealthy is the sheer number of people, some of whom behave in really stupid ways. It only takes one person to destroy the peace and quiet of a place, and when you add multiple obscenely large RV's with generators to a campground designed for tents, well, it's a mess. One morning in the men's room at Jedediah Smith Redwoods I walked in on a guy balancing his Keurig machine on the sinks brewing coffee for two large mugs (using the restroom's one electric outlet). That is just so wrong on so many levels I don't know where to start. And then there are the signs that so many people seem not to read. For example, in Custer State Park there are signs everywhere that say "Bison are dangerous animals. View from a distance, do not get out of your car." 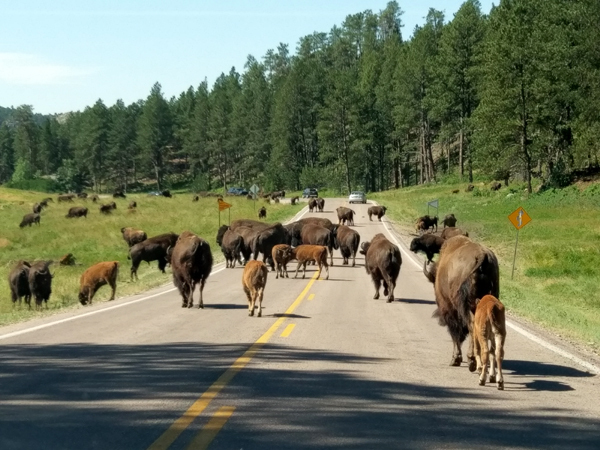 And guess what happens when there are bison on the road, on either side of the road, bulls that stand 6 feet at the shoulder and weigh 2,000 pounds? Every year someone gets gored. And every year someone falls off the edge of Grand Canyon taking a selfie. Yellowstone is impossible, the sheer number of selfie-taking tourists on the boardwalks around scalding thermal features all jostling for position to take pictures makes the whole thing dangerous. Every year people fall in and die, and the Visitor Center displays tell you that, warn you to stay on the boardwalks, and yet we witnessed a guy jump off the boardwalk to fetch his hat that had blown off onto crust that might have broken through. 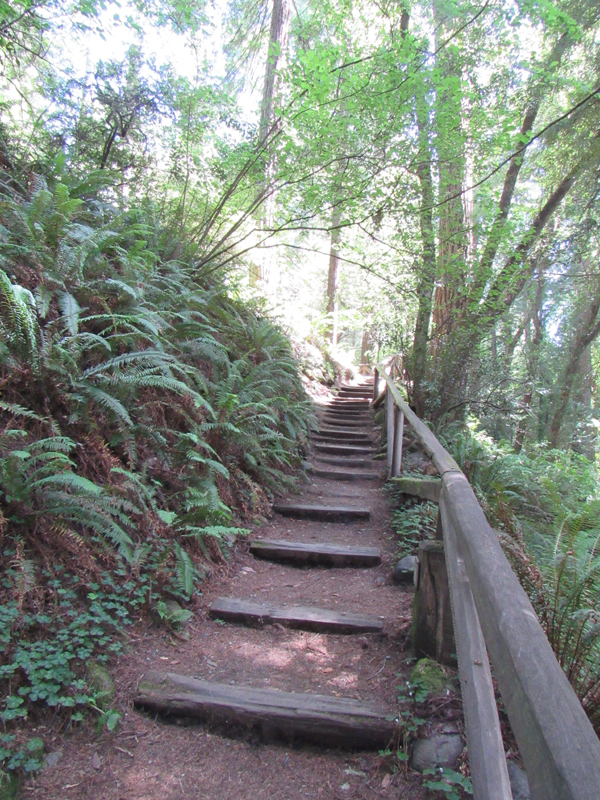 Muir Woods north of San Francisco is just about ruined by the number of people. Signs there say "Please enter this grove in silence" but the signs are ignored. And worst of all was the sign at Pipestone Creek that said "Do not wade in or drink water from this creek, it has been rendered unsafe by chemicals and industrial pollutants." Pipestone, the creek, the quarries and the surrounding land are considered to be a sacred place, holy ground, and we have desecrated it. Everywhere we traveled, the Rangers' primary function was managing the visitors and protecting the park, its features and its critters, from people. It is time for us to manage ourselves, not with controlled burns or bison round-ups (though in my more cynical moments I wonder if a penned-in area out in a remote field for RV's might not be a bad idea) but with basic education that teaches respect for the only natural world we have. We are too many, there is too much ignorance, we have exceeded the carrying capacity of the earth and there are consequences. We have seen many places on this trip that have been utterly ruined by human beings, and we have as well seen places where there has been a partnership, and human beings have contributed to the balance of nature instead of tipping it into ruin. The choice is ours.